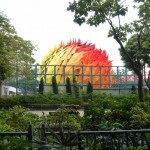 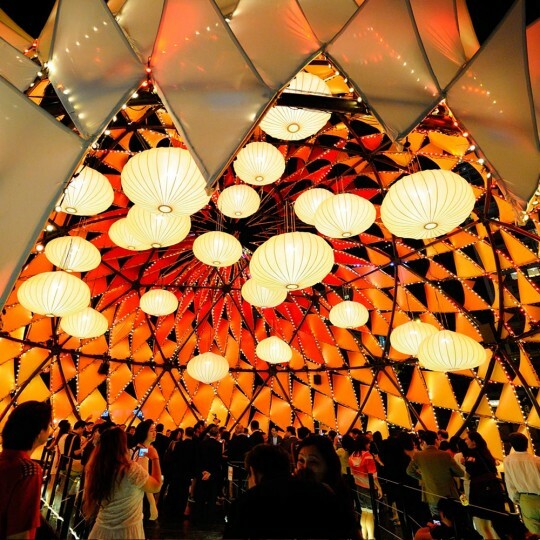 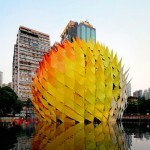 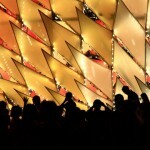 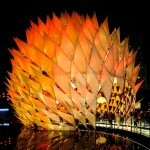 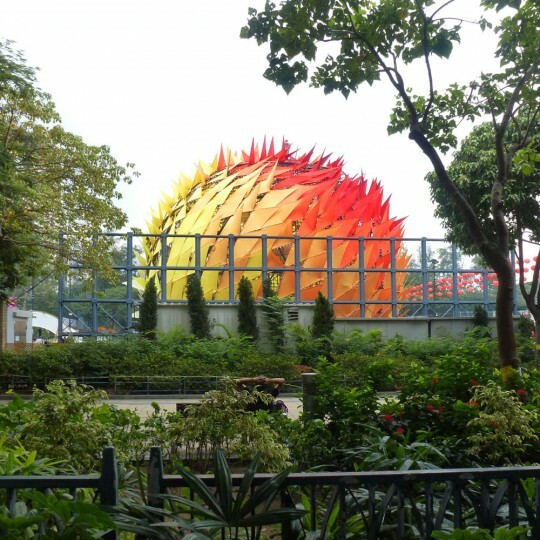 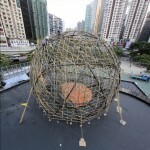 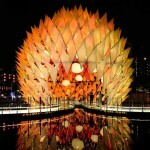 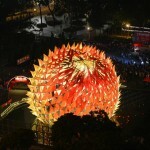 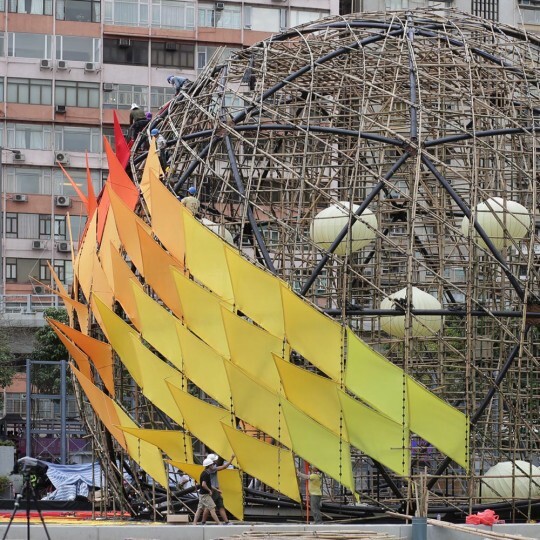 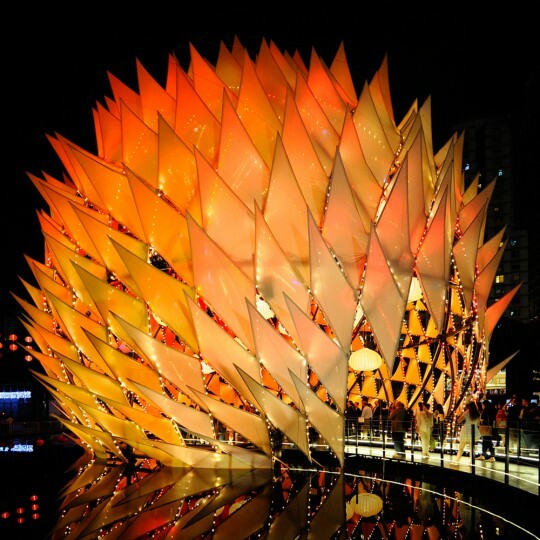 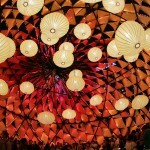 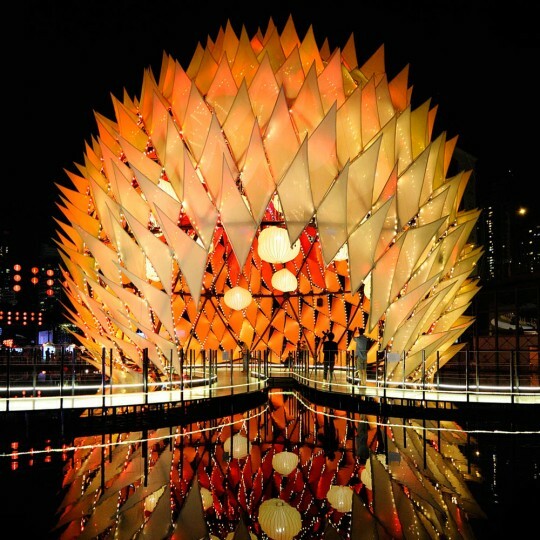 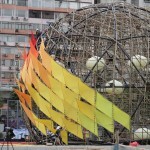 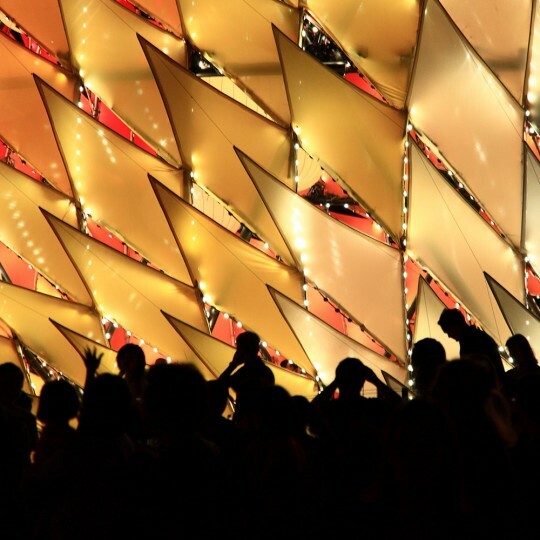 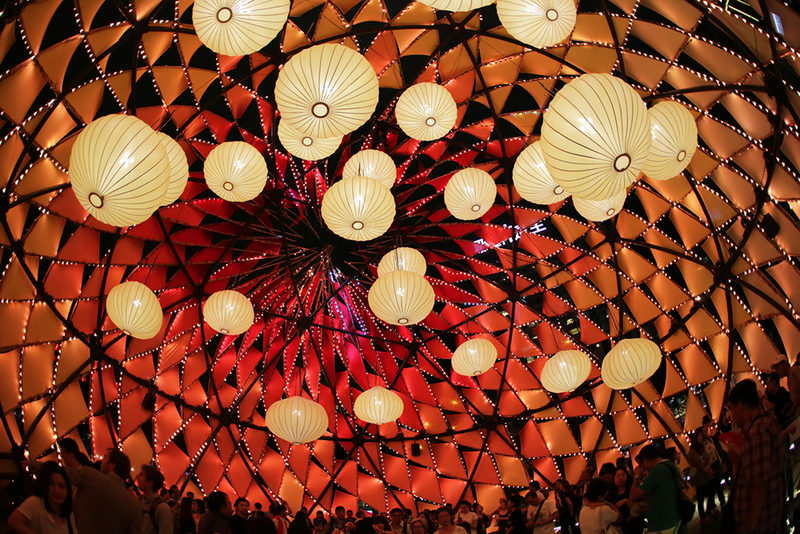 To create the “fiery flames,” a reference to the Chinese legend of Moon Goddess Chang, Crolla and Fingrut began with a geodesic dome structure made from steel and wrapped it with a bamboo grid made using traditional scaffolding techniques. 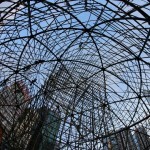 In this case, however, that “highly intuitive and imprecise craft” was based on an incredibly precise computer generated grid designed to install and bend the bamboo rods into a specialized structure around the steel dome. 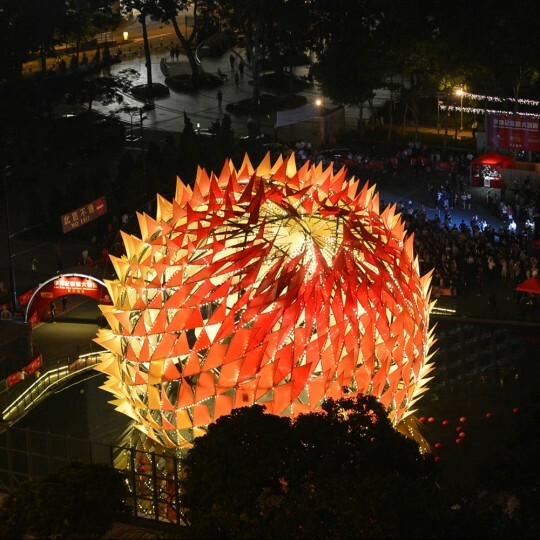 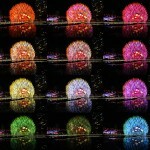 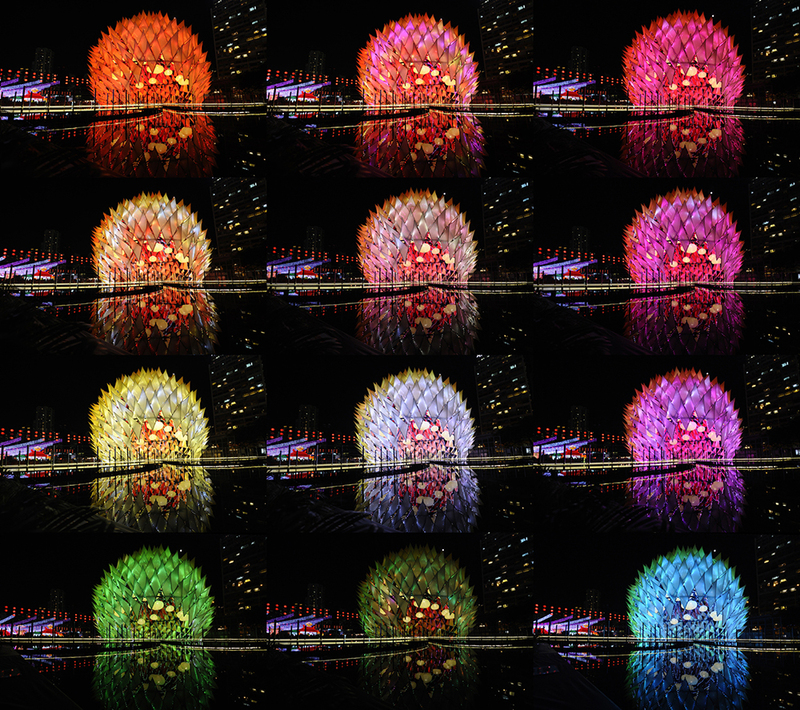 The dome was then clad with metal wire and a translucent, flexible fabric, two typical paper lantern-making materials, which were then lit up by 10,000 LEDs. 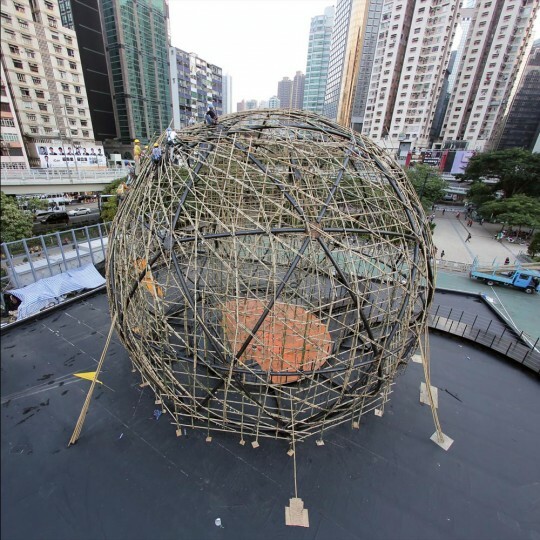 The flame pattern and bamboo structure is “based on an algorithm for sphere panelization that produces purity and repetition around the equator and imperfection and approximation at the poles.” The dome is wrapped with a diagrid according to a Fibonacci sequence that produces order along the equator and randomness at the poles. 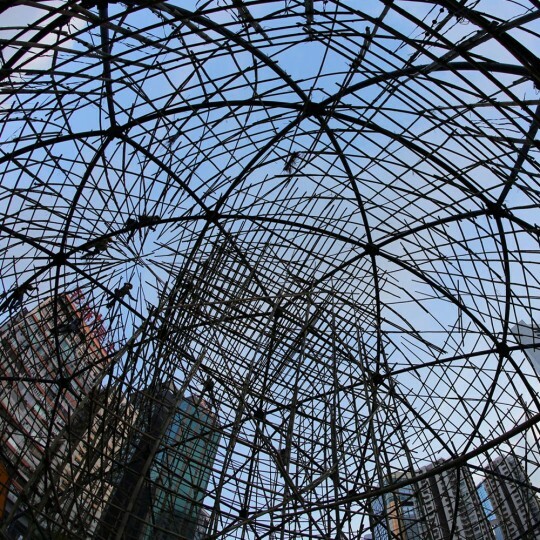 Simple drawings of this code were made for the construction team so they could easily mark the intersections between the steel and bamboo structures.